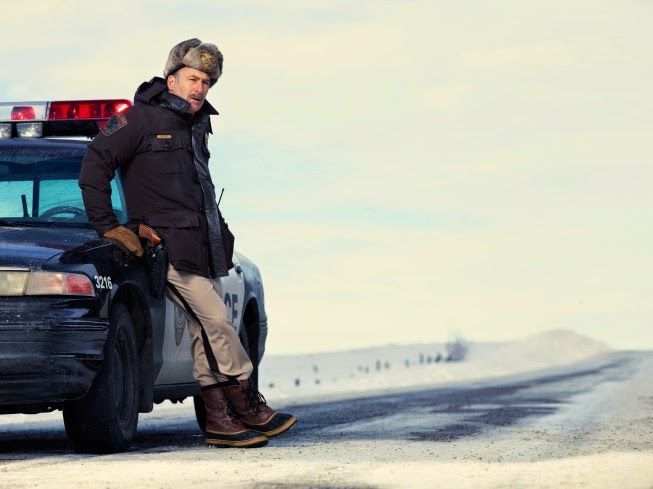 The first time we saw the Coen Brother’s movie Fargo we had just been to a family reunion in North Dakota. We not only got a good laugh over exactly how accurate those accents were we also knew we had just seen something special — a perfect blend of comedy, drama, darkness and fun. We were nervous when we heard they were attempting a TV version of the film, but a little relieved to hear some of the key players — Billy Bob Thornton, Collin Hanks, and the incomparable Bob Odenkirk. How can you go wrong? We spoke with Bob during a recent conference call interview, and he, too said he was nervous about what they would do to the movie he also loved, but was pleasantly surprised by page eight of the script to see that they got it right. Although Bob came to mass popularity in Breaking Bad he actually started his career as a writer — a comedy writer to boot — first at SNL and then doing his HBO sketch comedy The Man Show with Bob and David. But he said he is never tempted to re-write or add his own stamp to these dramatic characters he’s been given to play. “It started with Breaking Bad, was getting a script and not attempting to manipulate the words at all. My challenge with Breaking Bad and with Fargo was how do I do this part as written literally word for word? It was my goal and is my goal. How do I make those words come to life and be a character and be natural and what do those words mean? Watch Fargo Tuesdays at 10 p.m. on FX.